This finely ground pure tungsten powder may then be molded into the desired shape and form with high heat and pressure. Tungsten plates are rolled and annealed in order to accommodate the consumer’s requirements. Annealment refers to the method in which varying temperatures are applied to the metal in order to make it stronger. This process includes the following procedure: one the tungsten ore is mined, it is crushed, chemically extracted and put in a hydrogen furnace in order to create pure tungsten powder; it is then gone through a variety of actions which compress, unify and mold it into the desired form. Tungsten sheets may be as thin as 0.001 inches or as thick as 5 inches and the width generally varies from 6 inches to 24 inches. 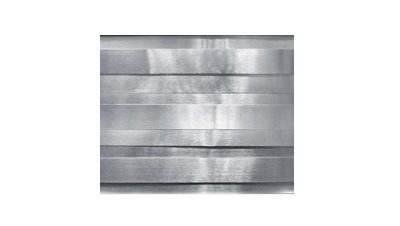 Tungsten plates are useful in a number of different applications, as it is valued for its corrosion resistance, ability to withstand extremely high temperatures and ability to create rigidity and hardness when combined with other metals in an alloy. Tungsten is used in the aerospace, research, construction material and light bulb industries. It is the primary metal in heating elements for electric furnaces and in any components where high pressure/temperature environments are expected. Tungsten plates are usually used in furnace construction, but are also important for the manufacturing of parts for both the electronic and semiconductor industries and can be found in a wide array of illumination, vacuum plating, electron-vacuums and shields. Tungsten plates vary in surface, thickness, lengths and width parameters, depending on the application, though the metal, once processed, typically has a luster and color similar to steel. Tungsten is presently not mined in the United States due to financial and environmental restrictions. Most of the tungsten currently being manufactured comes from countries such as Russia, Bolivia, Canada and China. Because of this, the United States tactfully maintains reserves of it is considered to be a critical to political and foreign affairs. Recycled tungsten is also considered valuable. Tungsten Plate A tungsten plate is a flat piece of tungsten metal which has been pressed from a powder form into a plate. In producing tungsten plate, mined tungsten ore is ground into fine powder, after which the pure tungsten is separated from the other materials in the ore.